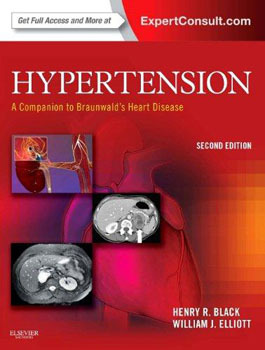 Effectively manage the chronic problems of your hypertensive patients with the practical clinical tools inside Hypertension, 2nd Edition: A Companion to Braunwald’s Heart Disease. This respected cardiology reference covers everything you need to know - from epidemiology and pathophysiology through diagnosis, risk stratification, treatment, outcome studies, concomitant diseases, special populations and special situations, and future treatments. Benefit from the authors’ Clinical Pearls to reduce complications of hypertension.